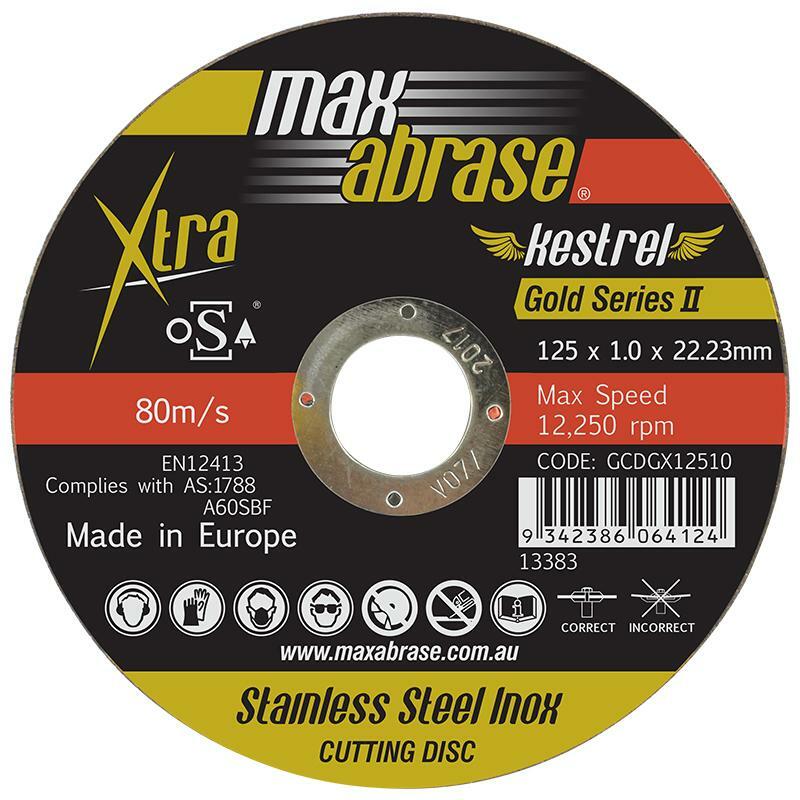 Highest quality Gold Series Discs. Stainless Steel grade. Well balanced, neither too hard or too soft to deliver the ultimate cutting performance and edge finish. Lower heat generation. Lower machine load extends tool life. Lower material loss. Narrow cutting joints. Stainless steel and general metal cutting. Xtra Balance and life. OSA Approved.